Young people everywhere are relying on social media as a part of their life. The new generation customer experience demands are changing. Because of this, companies are urging to find new ways to make social media as a part of their business solutions. Instagram has been the golden option to reach out the millennials.It has been the most desired platform for videos, and ever since people have been watching 60% more content on it each passing year. Recently, Instagram TV (IGTV) is an opening platform for long-hour videos. Users are now free to upload hour-long videos as IGTV offers a variety of stats around the video consumption by its followers. Companies really have the need to tailor the content to each individual user to begin social interactions. Social media, especially Instagram needs the development of creative content strategies that are relevant to the audience. People just want to get educated and inspired when they come across social media. If not now, brands are going to find it really difficult to attract and retain the attention of users on social media. In every market, individuals are consuming social media for education and knowledge of markets. Brands are looking for the sources that influence the audience and shifting enormous attention to promoting posts on Instagram. Today, Instagram is mainstream. This platform is being embraced by a large number of B2C audience. Many large B2B brands are relying on it to connect with prospective customers. And attract new prospects. 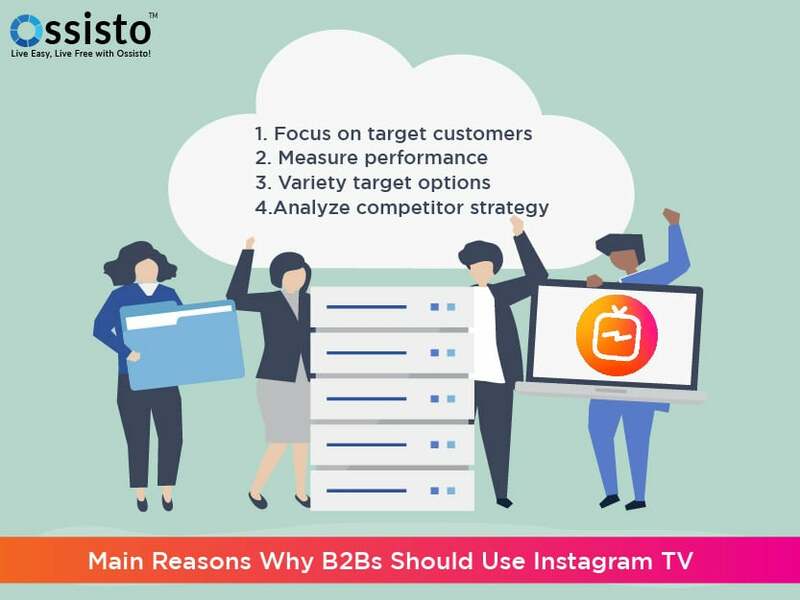 This article describes how to integrate Instagram TV into social media marketing to optimize brand awareness and generate leads. Instagram mainly focuses on images and videos. Businesses can now build more creators online than on TV. Each day, thousands of people follow Instagram for special news and updates. It is sure to reach hundreds of millions of followers. Among them, the B2B can target and focus on a few followers who are a part of the target audience. Target audience feels personalized to your brand using IGTV content that can be customized to fit user preferences. The introduction of IGTV opens doors for an entirely new platform for affordable Instagram ads. There are Instagram analytics platforms that are used to measure the performance of business strategy on Insta. These tools measure performance, engagement, and growth of the company strategy and how customers engage with your Instagram content. They reveal lead conversion, opportunities. Businesses that mostly concentrate on visuals and videos for their brand awareness, Instagram is the best option. IGTV leverages the opportunity to discover more and more interesting video content rather than confined to a specific arena. Long-form video content has now become live. All the content can now be placed at one platform. One can experiment with various Instagram targeting options while developing ads. Business owners can track Instagram ads if they are in place and can determine which is best. Instagram is making it a clear pitch to follow the competitors. Influencers will likely take full advantage of IGTV. Influencer marketing can be done with ease on Instagram as it provides a platform for fanbase and promotion. Instagram analytics tool, let the business executives analyze the competitor’s strategy by carefully monitoring what they are applying. By this, they can identify the opportunities to produce bigger results in the long-term. Instagram ads are a powerful way to enhance brand awareness. A blog on follows.com explains how Instagram Ads can be effective for B2B Marketing. It lays a golden opportunity to engage customers and followers in a new way on one of the largest and most engaged audience base platform ever.